The inaugural Guise and Dolls figurative sculpture exhibition is fast approaching!! This intensive two-day figurative sculpture workshop will focus on preparation for the first Guise and Dolls Figurative Sculpture exhibition titled PROGENY, opening November 3rd, 2017 at Artists and Makers Studios in Rockville, MD. 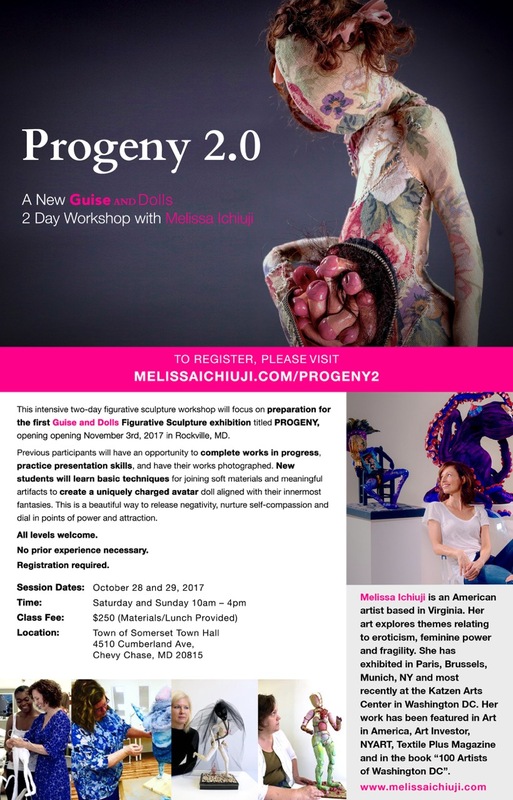 New students will learn basic techniques for joining soft materials and meaningful artifacts to create a uniquely charged avatar doll aligned with their innermost fantasies. This is a beautiful way to release negativity, nurture self-compassion and dial in points of power and attraction. Space is limited. Early registration strongly encouraged.